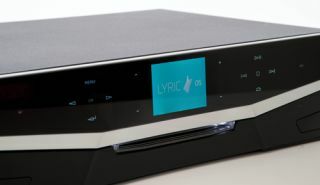 Cyrus reveals details of Lyric streaming systems | What Hi-Fi? Cyrus has revealed full details of its new Lyric streaming systems, a new streaming range which is set to launch with the Cyrus Lyric 05 and Lyric 09. Designed to meet the needs of consumers who want to listen to music from a variety of sources, the Lyric systems sport an exhaustive list of features and a completetly new glass and aluminium casing. The systems offer wireless network and Bluetooth streaming, CD playback, DAB, FM and internet radio, a host of analogue, digital and USB connections, and more besides. Cyrus claims the systems have a slick new control interface, as well as being compatible with the existing Cyrus Cadence remote control app for Apple devices. Naturally, Cyrus insists the same high standards that the company aims for with its separates systems have been applied to these new all-in-one streaming systems: "The audiophile approach to everything," as Cyrus says. The Lyric 05 is the more affordable of the two models, yours for a cool £2250 and delivering 80 watts per channel of power in to 8 ohms and featuring a 24-bit/192kHz DAC. Step up to the Lyric 09, £3000, and you get a claimed 170 watts per channel of power and an integrated DAC capable of upsampling to 32-bit/192kHz. So, about those features. The Cyrus Lyric products are UPnP devices, so can stream from any compatible device over your home wireless network. The free Cyrus Cadence iOS app acts as your control and gives you access to your full library, plus artwork and track metadata. The stream engine from the Cyrus Stream XP2-QX, a winner in the What Hi-Fi? Sound and Vision Awards 2013, takes care of streaming duties inside the Lyric systems. If you'd rather stream directly from your device then there's Bluetooth connectivity, the Lyric 05 and 09 systems supporting A2DP and the superior aptX Bluetooth codec, so streaming from compatible smartphones, tablets and computers is available. TuneIn Radio is integrated inside for access to 70,000 internet radio stations, while you'll also find DAB and FM radio tuners. Lest we forget, CD playback – arguably Cyrus' biggest strength in recent years – is present and correct, too. The Lyric systems employ the SE CD system used in the £700 Cyrus CD T transport. You'll also find one analogue stereo input, twin coaxial and optical digital connections, and a selction of USB inputs. Two 'Made for iPad' USB A inputs (front and back), can charge your iPad or play music from an iPhone, iPad or USB drive. A solitary USB B input allows you to connect and play music directly from a computer. Last but not least is a Class A 3.5mm headphone output, which Cyrus claims incorporates a high capacity power supply and a high quality headphone amp. Inside the Cyrus Lyric systems is Cyrus' new "hybrid" power amplifier, which is also set to be part of the forthcoming £1500 Cyrus Stereo 200. Both the Lyric 05 and Lyric 09 feature Cyrus' propietary automated speaker analysis system, which senses the impedance of connected speakers and adjusts the output accordingly. The Cadence iOS app gives you remote control from any iPad, iPhone or iPod Touch, with full access to your library of streaming music. A standard remote is also supplied, while the two Lyric products also have a new touch control system on the units themselves. The new displays on the Lyric products also feature proximity sensors, which can be set to fade off and then back on when you come back in the room. All this is technology is housed inside a hand-finished aluminium chassis. We have seen a pre-production model of the Cyrus Lyric 09 and we're hoping to get our eyes and ears on a finished product very soon, so look out for our full review. So, interesting times. What do you think of the new Cyrus products? Let us know in the comments below.